Where Are My Dancing Shoes? Young and old alike are drawn to dance. It is a form of expression that goes back to the beginning of time. Some say it is the oldest form of self-expression. In fact, you can dance even if you don’t know how. Be forewarned though, people may ask you to teach them your “moves.” Not knowing how to dance is not nearly as important as finding a place to hold your dance. 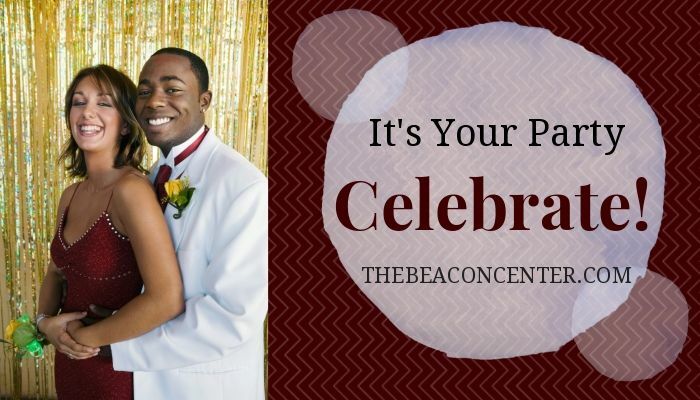 Whether it’s a Prom, Senior Social, Church Social, Graduation or simply a celebration to just dance the night away, homeschoolers, senior groups, church groups, and dance committees organizers all face this challenge each year. No matter what type of group you represent, take a look at what The Beacon Center can offer. With room for all your party goers, color changing LED lights in the ceiling, selfie photo station, and audio/video options, our venue is the place to go for a stress-free evening. Take a virtual tour here and see for yourself as you dance the night away! Not knowing how to dance is not nearly as important as finding a place to hold your dance. Since opening the Beacon Center we have hosted hundreds of dances. Let us put together a package that combines affordability, simplicity & fun. Just the thing you need to dance the night away!